EU foreign policy chief Federica Mogherini said that EU leadership planned to address the Kurdish issue, including the latest escalation between government and Kurdish separatist forces in southeastern Turkey, with Prime Minister Ahmet Davutoglu at the summit in Brussels. BRUSSELS (Sputnik) – The European Union urges Turkey to restart the peace process with the Kurdish minority, EU foreign policy chief Federica Mogherini said on arrival to the EU-Turkey migration summit Monday. "There is a need to restart the Kurdish peace process. 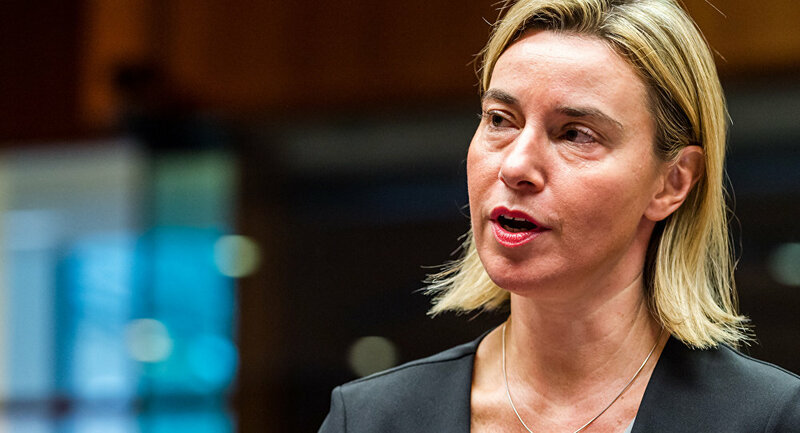 The European Union recognizes that PKK [Kurdistan Workers’ Party] is a terrorist organization, but there is a need to re-engage from the Turkish authorities’ side with the Kurdish political representatives and the ones that express their position in a peaceful way," Mogherini told reporters. She said EU leadership planned to address the issue, including the latest escalation between government and Kurdish separatist forces in southeastern Turkey, with Prime Minister Ahmet Davutoglu at the summit in Brussels. "We are working together with Turkey also as a candidate country. There is a need to restart the Kurdish peace process. The European Union recognizes that the PKK [Kurdistan Workers’ Party] is a terrorist organization, but there is a need to reengage from the Turkish authorities’ side with the Kurdish political representatives, with the ones that express their position in the peaceful way… We believe it’s a priority. We will discuss this with Prime Minister [Ahmet] Davutoglu," Federica Mogherini said. Ankara is conducting a special operation to suppress the PKK, which has been fighting for independence of Kurdish territories from Ankara since 1984. The group, which Turkey considers a terrorist organization, seeks to create a Kurdish state in parts of Turkey and Iraq. Brussels has long called on Ankara to renew the settlement process suspended last summer after a series of murders of Turkish soldiers.